ABSOLUTELY STUNNING VIEWS! 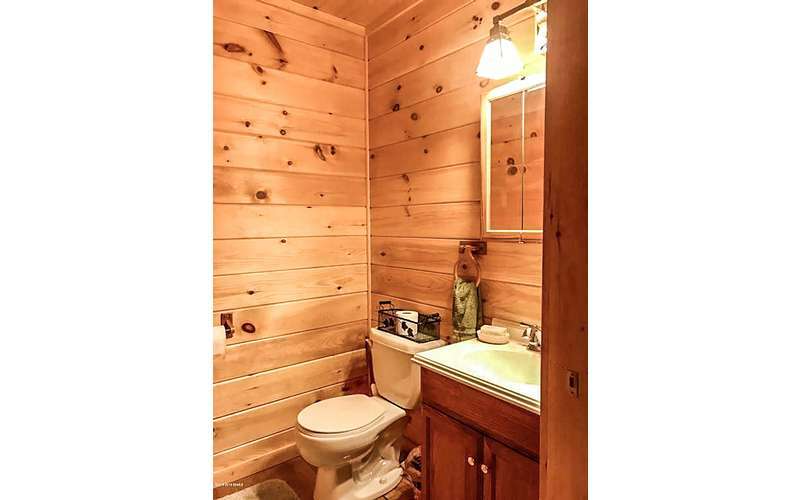 CLOSE TO TOWN, DRIVE UP CABIN WHERE PRIVACY AND SERENITY AWAITS. Look no further! This is the best of both worlds! Enjoy the sights and sounds of the Adirondack Mountains in your backyard, coupled with the luxury of a modern cabin that is tucked away in the woods. You will be just a short drive from area shopping, food, and entertainment if you want to venture out, but can enjoy the privacy of being nestled in the serene surroundings of the nature of the Adirondacks. You will be within steps of Shelving Rock Falls and Preserve (between hiking trails, falls and Lake George), this rental is perfect for couples or families looking to explore what Adirondack Mountains offer. Start your day with coffee on the porch, while you take in the panoramic mountain views. This fully furnished log home features an overlook of walking and hiking trails and a large deck and yard which includes three streams. Once you step outside the cabin, there is more! The surrounding area of the premises includes a charcoal grill, Adirondack fire pit, stone path walkway, additional outdoor chair seating, and cozy front porch. If you are a nature lover, there is plenty of wildlife and amazing hiking opportunities on this 54-acre grounds, all available for your enjoyment. Nearby attractions are within a 30-minute drive, where you can enjoy Lake George, Great Escape Six flags, shopping, extreme sports, and other surrounding lakes. Master bedroom and guest bedroom are on the first floor along with the kitchen, living room, large wood burning fireplace, full bath (jacuzzi and shower) and powder/laundry room. There is a fully equipped kitchen, dining area with six chairs and three stools at the kitchen island. A large outside deck is located off the living room. Upstairs there is a large loft with a queen bed, sitting area, and desk which provides for quiet time and relaxation. The lower floor has a game room and TV, foosball table and plenty of board games. 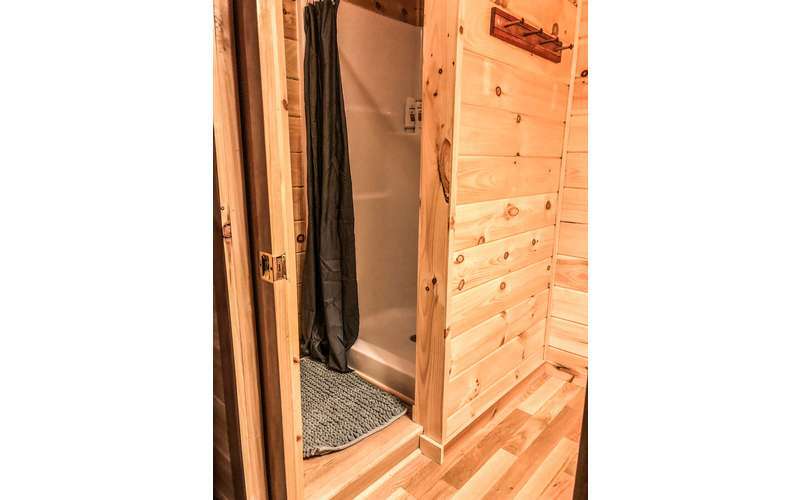 There is also a full bath and a small workout room with a treadmill.